Kudos to John Gauntner, the famed Saké expert and "Saké Dendoushi" ("Saké Evangelist"), for his recent inspiring achievements. First, in June, John became a certified Master of Saké Tasting under the auspices of the Nihon Jouzou Kyoukai, the Brewing Society of Japan. Second, in July, John became a certified Saké Expert Assessor under the auspices of the Shurui Souken, the National Research Institute of Brewing. This is the only governmental Saké certification in existence and John is only the second non-Japanese person to be so certified. In addition, there are only a total of 40 people with this certification. Testing for this certification is extremely difficult. John is also the only non-Japanese person to have both of the above certifications, which is quite a significant achievement. He deserves a hearty congratulations for this accomplishment, as well as his devotion to Saké. I was fortunate to have met John at his Saké Professional Course, and he was an excellent instructor, as well as an all-around nice person. He is certainly deserving of praise for all he has done for the Saké industry, and I hope to learn more from him in the future, continuing my own Saké education. A rant on Saturday? What's up with that? Well, on Monday I will not be in the mood for a rant because I will be receiving a couple boxes of sherry, the sherries I bought while I was in Spain. That will put me in a great mood and it wouldn't feel appropriate to rant on such a happy day. But I do have a little bit of trepidation about the sherries, and I think many people have been in a similar situation. Think back to your last vacation where you drank a killer bottle of wine, an exceptional wine which garnered your highest recommendation. If it had to be scored, you might have even given it 100 points. It was so good, that you either bought it and brought it home, or tracked it down locally once you returned from your vacation. At home though, the wine didn't taste as good. You might still enjoy it, but it no longer was exceptional. Its wine score might have dropped by 10 points, or even more. What happened? Why did the wine taste so different? Were they exporting their lesser wines, keeping the best for themselves? The key is context, and it is also an important reason why wine scores are inadequate. Wine will taste differently to you dependent on the context: where and when you drink it, who you drink it with, why you drink it, etc. On vacation, when you enjoying yourself immensely, a wine might taste better to you because you are already in such a good mood. Tasting a wine with the wine maker, in his cellar, might also make the wine taste better. When you return home, out of that context, the wine may very well taste differently. You might not appreciate it as much, unless you can replicate a great experience. The experience does not have to be the same, just equally as compelling. While in the Jerez region, I tasted some amazing sherries and bought a number of them. I got to taste sherries out of the barrel, with bodegas owners and employees. I drank sherry with new friends, at a flamenco show and at some top notch restaurants. It was quite a fascinating trip, and obviously the very positive context had an effect on the sherries I tasted. What will I think of those sherries now that I am home? Will they still taste as amazing, or will I be disappointed? We shall see but there are ways that I can try to make them taste better. I might be able to enhance their taste by creating a positive context, such as sharing them with good friends. Wine usually tastes better when shared with good people. That is probably something you have experienced though you might not have considered it much. Wine scores, often given in very sterile tasting conditions, lack any sense of context. A score cannot tell you how a wine will taste under different circumstances so they are largely useless for most people. As the context is so important to your experience of a wine, then forget about scores or other rating systems. Instead, when drinking a wine, exert your efforts in enhancing the experience, in creating a more positive context. I am here with a special Friday edition of my usual "Thursday Sips & Nibbles," as it has been a busy week, and the holidays approach. So here are several more interesting wine and food items that I wanted to bring to your attention. Hours of Operation on Thanksgiving Day, November 25, will be: 12pm-2:30am. Thanksgiving Day Menu: 12pm-10pm, Late Night Menu: 10pm-1am. À la carte pricing for dinner, no cover charge for entry. 2) Every November, debate heats up around the Thanksgiving dinner table on the topic of stuffing. Everyone’s got a preference, and changes to a favorite recipe can spark controversy, so Swanson broth and Chez Henri chef-owner Paul O’Connell is asking New Englanders to vote in The Great Stuffing Debate. The debate is part of Taste of the NFL, an organization that rallies the country's top chefs, like O’Connell, and top NFL players, to raise money to support food banks in the U.S. The efforts culminate at the Super Bowl with The Party with a Purpose®. Through the efforts of hundreds of volunteers who help make Taste of the NFL the single most successful charitable event at the Super Bowl, Taste of the NFL continues to help feed the 37 million Americans who have turned to their local food banks for assistance. Millions of needs, thousands of families and dozens of new hunger projects have been affected by this major volunteer effort. Throughout November, www.GreatStuffingDebate.com will pit O’Connell’s signature stuffing recipe against other regional chefs representing the six football teams playing on Thanksgiving Day. Swanson broth will donate funds to a Boston area food bank, to the chef and team who receive the most votes. The poll goes live Monday, November 1. Heat oven to 300°F and place bread onto 2 baking sheets. Bake for 30 minutes or until bread is crisp. Remove the baking sheets from the oven. Increase the oven temperature to 350°F. Heat the butter in a large saucepan over medium heat. Add the onion, fennel and celery and cook for 5 minutes, stirring occasionally. Stir in the chorizo, apples, cranberries, apricots, sage and thyme. Increase the heat to medium-high. Cook for 5 minutes, stirring often. Stir in the broth and heat to a boil. Remove pan from heat. Add the parsley and bread and mix lightly. Season with salt and pepper. Spoon stuffing mixture into a lightly greased 3-quart casserole and cover with foil. Bake for 40 minutes. Uncover casserole and bake, uncovered, for another 20 minutes. 3) Each holiday season from November 1st through New Year’s Eve, the Legal Sea Foods family of restaurants makes waves in assisting Children’s Hospital Boston. For the past fifteen years, a portion of the proceeds from every gift card sold has been contributed to innovative research that will benefit families with sick children. This year, Legal Sea Foods hopes to hit the $1 million marker with the funds they have been able to raise since 1996 through their Holiday Gift “Cod” program. And, as an added incentive for guest purchases, with every $200 worth of gift cards purchased from the restaurants, Legal Sea Foods will grant a “Lobster Dinner Reward” voucher, redeemable for a 1-1.25lb steamed lobster with a choice of two sides. To date, Legal Sea Foods has raised over $950,000 through its holiday gift card program, making it the longest running annual cause marketing program to support Children’s Hospital Boston. The funds raised through the gift card program benefit Children’s Hospital scientist Leonard Zon, MD’s revolutionary zebrafish research. Zon is a world-renowned stem cell researcher who pioneered the field of zebrafish genomic research. The hope is that discoveries in the fish, whose genetic structure is similar to humans, will translate into cures for millions of people worldwide with malignant, degenerative and genetic diseases such as leukemia, cancer, anemia and immune deficiency disorders. 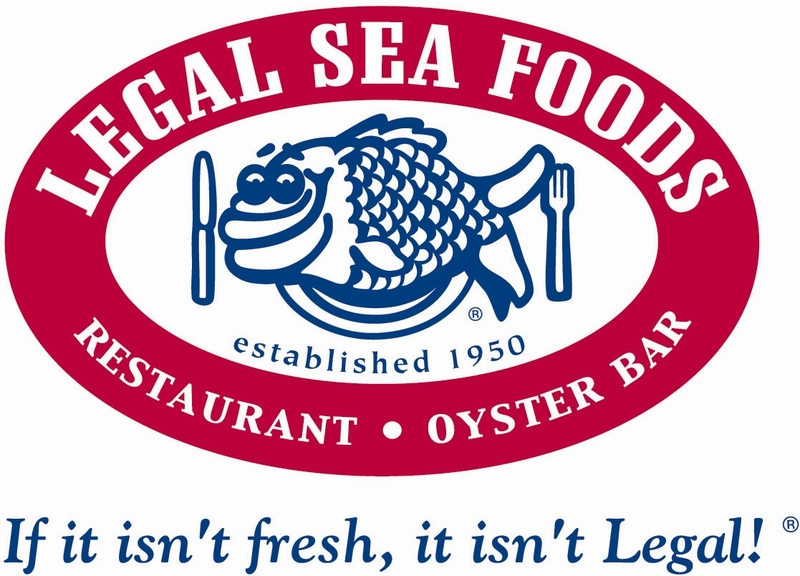 All 17 Legal Sea Foods restaurants in Massachusetts are involved in the program. 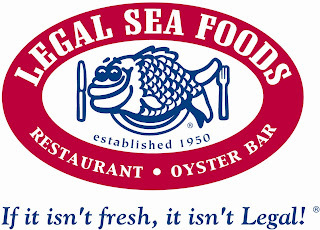 Gift cards are available for purchase in-store, online at www.legalseafoods.com, or by calling 1-800-EAT-FISH. Lobster Dinner Reward vouchers are redeemable January through March of 2011. Though only open for about two weeks, I have dined twice now at Salvatore's, a new Italian restaurant on High Street in Medford. This is their third location and the first that I have visited. Though some leeway needs to be given to any new restaurant for at least the first couple months, Salvatore's already seems to be doing fairly well. You can read my initial review of Salvatore's at the new Medford Patch, an online news site dedicated to all things Medford, which launches today. As a brief addendum, since that review, I have also had lunch at Salvatore's. It too was good, with a couple minor food issues which I chalk up to the newness of the restaurant. Service was once again excellent and I will be returning soon to check out more of their lunch and dinner menus. And after those additional visits, I will return here with a more indepth review. At this time though, I recommend Salvatore's and just ask that you give them a little leeway if everything is not perfect. It always takes a little time to work out the kinks in a new place. 1) Pairings: Exploring Wine & Food, a wine store in Winchester, will be holding a Grand Pairing Wine event on November 6. They will have 4 Tables of wine including some special wines, a raffle, and more. I don't have any more details yet but you might want to mark it down on your calendar. Update: The event will be from 4pm-7pm. Each of the 4 tables will have 6 different wines, but the same 6 foods so you can see how different pairings work. The wines includea a Barolo, an Amarone, wines from Bordeaux, Chardonnays and Pinot Noirs, a California Caberent, a LBV port and two dessert wines, among others. “Dinner and a Show”: Beginning on November 1, Da Vinci will offer free valet parking to all diners who enjoy a 3-course prix fixe dinner before seeing a theater production. The cost of the 3-course prix fixe dinner is $35 and diners must be seated before 6p.m. Guests have the option of enjoying their dessert with their dinner or coming back for a sweet treat post-show. · Complementary pumpkin mousse for all guests during Halloween week, October 25-30. · Cumin crusted striped bass with pumpkin risotto and sour cream pumpkin sauce. Served one day only on October 31. · Blood Orange Martini: Bombay Sapphire infused with candy corn; served with orange pomegranate grenadine and finished with Moscato, $12. Served October 25 – 30. Wine Dinner for Two: Da Vinci introduces a two person, 3-course dinner and bottle of wine promotion for only $90. Chef Peppino offers a wide selection of delicious Italian/Indian fusion courses for diners to choose from along with one palate-flattering bottle of wine. This special dinner is available Monday-Thursday all hours and Friday-Saturday before 6p.m. 3) This Thanksgiving, people across eastern Massachusetts will gather with family and friends for a delicious meal to give thanks. Unfortunately, in those same communities, thousands of those less fortunate will sit down to empty tables. This is where The Greater Boston Food Bank steps in to help. In 2009, The Food Bank launched an online Turkey Drive to help raise funds to purchase turkeys to distribute to families who would otherwise go hungry on Thanksgiving Day. In its first year, the Turkey Drive raised enough money to distribute an additional 4,862 turkeys which helped increase the total number of turkeys distributed to 39,121 families in need in eastern Massachusetts. In 2010, The Food Bank will once again hold an online Turkey Drive with the goal of distributing 40,000 turkeys to families in need. · For every $13 donation, The Food Bank can distribute a 12-14-lb turkey to a deserving family in eastern Massachusetts. · Individuals/corporations/organizations can form Turkey Teams, set team-specific goals and encourage friends and family members to donate. · Every time someone makes a donation, the Turkey Ticker on the official website increases, allowing for real time tracking of what is needed to reach our goal. How to Start: Beginning October 18, you can make online donations and form your own Turkey Team at http://www.gbfb.org/turkeydrive. Note: The Food Bank cannot accept fresh or frozen turkey donations. 4) For Thanksgiving, why not go to the Beacon Hill Hotel & Bistro on Thursday, November 25th, from 1pm-9pm and enjoy a multi-course holiday feast prepared by Executive Chef Mathew Molloy. Rain can sometimes be an enemy to wine grapes but this is the first time I have heard of this type of protection. As pictured above, the Japanese place parchment paper, by hand, over Koshu grapes to protect them from rain. Such a laborious process, but somehow it seems very Japanese in nature. This interesting factoid was learned at a tasting event of Japanese wines held yesterday at the Uni restaurant in Boston. I was invited by Yoko of Winestone, a wine store in Chestnut Hill, and I was extremely pleased that I attended the event. The event showcased five wines made from the Japanese Koshu grape, to ascertain whether there would be any interest in importing such wines into the U.S. Based on my tasting of the wines, I believe they are worthy of being on local wine shelves and on restaurant wine lists. It is thought that the Koshu grape was transported to Japan, via the Silk Road, almost 1300 years ago. Legend states that in 718 AD, Gyoki, a Buddhist monk, had a vision of Yakushi Buddha (also known as Yakushi Nyorai) holding a grape cluster. This is the "medical" Buddha so Gyoki believed the grapes were to be used for healing. He thus established the Daizenji temple in Katsunuma, in the Yamanashi Prefecture, and began growing Koshu grapes for medicinal purposes, as well as teaching others the art of viticulture. Koshu though did not really become popular until the Edo Period (1600-1867), when the Tokugawa Shogunate considered them a delicacy. At this time, the grapes were still being eaten and not yet made into wine. The Shogun kept all the best grapes, and the rest would then be sold to the commoners. The first wine production in Japan really did not occur until the later part of the 19th century, and mainly in the Hokkaidō and Yamanashi Prefectures. Around 1868, the Japanese government sent a couple of men to Paris to learn about wine making. But the industry did not develop much until after World War II. In many ways, the Japanese wine making industry is still in its youth, though the quality of their wines is ever increasing. They are using both indigenous and international grapes, though I feel the most interesting wines may be made from their native grapes, like Koshu. Though often eaten as a table grape, Koshu is a vitis vinefera, a wine grape, and that was confirmed in 2004 by the University of California, Davis. So in that respect, it is like the Palomino grape, which is also enjoyed as a table grape. 95% of Koshu grapes are grown in the Yamanashi Prefecture, located at the foot of Mount Fuji. There are about eighty wineries in this region and they produce about 40% of Japan’s domestic wines. Koshu is very disease-resistant, and is also robust and tree-like. The grape skin is thick and often pink in color while the clusters are long, the grapes being low in acid and sugar. Like Muscadet, it can have a neutral character so some winemakers have engaged in sur lie ageing to infuse more flavor into their wines. Others have produced semi-sweet and sparkling versions. Typical flavors from Koshu wines include citrus, lychee, pear, white peach and quince. It is supposed to pair well with sushi, light seafood dishes, and other Japanese cuisine. All five of the Koshu wines I tasted were from the 2009 vintage, which is considered an excellent vintage. The wines also all had an alcohol content of 12%. Overall, the wines reminded me of both Muscadet and Saké. First, they had roughly similar flavor profiles to many Muscadets, and they made me crave a plate of oysters. Second, they had a clean purity of flavor, as well as more subtle flavor notes, like a Saké. So it is easy to understand why I found these wines to be compelling. The first wine I tasted was the 2009 Sol Lucent Koshu from the Yamanashi Wine Co. This wine is fermented in stainless steel with wild yeasts. It had a light, fruity aroma which came through on the palate. Though the pleasant citrus flavors dissolved in the finish, which became kind of sour and off putting. This was my least favorite of the group. The next wine was also from the Yamanashi Wine Co., the 2009 Four Seasons, and it was fermented in 50% stainless steel and 50% barrel. This wine presented lots of delicious fruit flavors, including peach and melon. It had a clean, crisp and fresh taste and reminded me of Muscadet. A very pleasant, easy-drinking wine. The 2009 Grace Koshu is produced by Grace Wine, which was founded in 1923. This winery is unusual in Japan because the winemaker is a woman, Ayana Misawa, the daughter of the owner, Shigekazu Misawa. This wine is sur lie aged for about five months, which does give it more depth, and it most reminded me of a Saké. It had a clean, fresh taste with good acidity and more subtle fruit tastes, including grapefruit and pear. But there were also undertones of herbal and floral notes with a bit of white pepper. A wine to slowly savor, relishing the complex and subtle flavors within. The 2009 Fujiclair, produced by the Fujicco Winery, is a very limited production, only 3500 bottles. It too was crisp and clean, with prominent melon, lemon and white peach tastes. There was also a subtle brininess to the finish, which was surprising. Another pleasant, easy drinking wine. The final wine was the 2009 Haramo Vintage Koshu, produced by the Haramo Wine Co., and it was my favorite of the tasting. It too has aged on the sur lies, for about six months, and had great depth and complexity. Besides its crisp, clean taste, there was a melange of harmonious flavors, including citrus, pear, melon, lemon and more. This was accompanied by some subtle herbal notes and exotic flavors. It had a richer body than the other wines, and really stood out as an impressive wine, showing the potential of the Koshu grape. I would highly recommend this wine. These are wines that would be very consumer friendly, as well as intrigue wine lovers. One issue though will center on their price. At this time, considering the fluctating value of the yen, the wines would cost around $20 each. That is probably too high of a price for most of the Koshu wines I tasted, except for the Haramo. The rest of the wines would be better priced at $10-$15, especially to make them competitive with wines of similar style and quality. That issue is understood though and is being worked on. I am always pleased to taste a wine made from a grape that is new to me, so this was a fun tasting. It was a bonus that the wines were generally good, and one was even excellent. As I often have said, expand your horizons and try some new wines, especially produced from unusual grapes or less common wine regions. If you get a chance to try some Koshu wines, then do so. I think you will enjoy what you taste. The death of millions, a huge communication problem, the Time of Great Heat, weird vibrations & the Great Spike. What do those matters have in common? And what do they refer to? You can discover those answers in my new wine-related short story on The Passionate Foodie: Fiction. This new story, The Veil of Flowers, has now been posted and is told from a unique point of view. The seed for this story sprung from a recent tasting I attended, and the subject matter has been much on my mind during the last couple months. I hope you enjoy the story and please provide me your feedback. At any large wine tasting, I hope to find at least a handful of treasures, a few new wines which are extremely delicious, good values or especially unique. This past weekend, at the Wine Riot, a grand wine tasting run by the Second Glass, I found several such treasures. I was hoping that there might be some sherry and Saké there, like at their last event, but that was not the case this time. Many of the same vendors from the last Wine Riot were at this event, so there was much duplication. But there were still some new vendors, as well as some new wines. Prior to the Wine Riot, I had eagerly anticipated checking out the KO Catering and Pies booth, a new food vendor (which is not even open yet) that sells Australian-style meat pies. In the near future, maybe as soon as this week, they will open a store in the Fort Point neighborhood, as well as have a roaming food truck. They will sell a variety of Australian favorites besides the meat pies. At the Wine Riot, kind of their public debut, they sold Classic Aussie Meat Pie ($6), Irish Beef Stew Pie ($6), Curried Veggie Pie ($6), and Thai Turkey Sausage Roll ($4). I tried the Classic Aussie Meat Pie, which is filled with lean ground beef, cooked with onions and spices in a beef tomato sauce. They do not provide you a fork or any utensil as you are supposed to eat it as is, just sliding it out of the aluminum tray. Being careful, I was able to eat it without any utensils, and without making a mess or dropping anything. I did see a woman having difficulty with her veggie pie, as it seemed to fall apart. I liked the light, flaky pie crust, and the meat was moist and flavorful, spiced well. The amount of sauce was restrained, providing moistness to the meat but not so much that it seeped out of the pie once you bit into it. It was delicious, and I would recommend them to others. I will definitely be buying more meat pies as well as checking out some of their other products. Now on to some wine. At the last Wine Riot, I had stopped by the Quady Winery table but they were out of their Dry Vermouth, so I moved on. I had tasted a few of their wines before and had been looking forward to tasting their vermouth. This time, I was able to taste the vermouth, as well as another exceptional dessert wine. Plus, I had the chance to meet Andrew and Laurel Quady, the husband and wife owners of the winery, which is located in Madera, California. Quady makes two vermouths ($20 each), an Extra Dry and Sweet, both made with about twenty botanicals. The Extra Dry is a blend of Colombard and Orange Muscat wines enhanced by botancials made primarily from flowers and leaves, including Angelica, lavender, rose petals, linden and citrus. The Sweet is blend of Tinta Roriz and Orange Muscat wines enhanced by botanicals made primarily from seeds, barks and roots. Those places are supposed to be where the energy is concentrated in the plants. Andrew said that it was as if they used the "dark side" for the sweet vermouth and the "light side" for the dry. I initially tasted the dry on its own, and it had a strong herbal taste, which is the style Andrew prefers. I enjoyed the dry vermouth, though it had a bit of a bitter finish. But it is obviously something you drink with a mixer, and not on its own. By balancing the bitter finish, you can then enjoy the herbal taste of the vermouth. I then tasted the Vya Cocktail, which is a 50/50 blend of dry and sweet vermouth and it too had a nice taste, the herbal notes balanced by a bit of sweetness. The two vermouths are versatile products and could be used in a variety of cocktails. But the highlight of this table, and probably the most unique wine at the entire event, was the Quady Deviation ($25/375ml), a blend of Orange Muscat with Damiana and Pelargonium. Damiana, also known as Turnera diffusa, is a shrub native to Mexico, Central America and South America, which has aromatic flowers. The leaves were traditionally used to make tea which was reputed to have aphrodisiac properties. The lemon-rose scented Pelargonium, also known as rose Geranium, is native to South Africa. Both herbs are steeped in the wine for one week and then the wine is aged for a year before release. It is made to be a dessert or after-dinner drink. This was a fascinating wine, with some mild sweetness and citrus flavors up front, but ending dry and herbal. I expected there to be a sweet finish too, so the dryness was quite surprising, and very enjoyable. Offhand,I can't recall another dessert wine that has such a finish. Its complexity and unique taste made this wine really stand out and it earns my highest recommendation. At the prior Wine Riot, I recommended a number of wines from 90+ Cellars, and Kevin and Brett made another appearance at the latest Wine Riot, bringing some new wines. Plus, they conducted a fun blind tasting which let the attendees have some input on what wine will be bottled in the future. There were five wines, marked "A" to "E." and the sample that garnered the most votes will be bottled and sold next season under the Second Glass Wine Riot name. The samples included a Cava, Alsatian Gewurtztraminer, Italian Montepulciano, Australian Bordeaux-style, and a Châteauneuf-du-Pape. My two favorites were the Cava and Gewurtz, both excellent values. We shall see in the near future though which wine won. I was also very impressed with one of their new wines, the first in their Collector's Series, a line of higher end wines but still at significant discounts. Lot 24 is a Cabernet Sauvignon from the Oakville appellation, well famed for Cabernet. The original wine sells for about $67 a bottle but the 90+ price is only $23.99, a very deep discount. Only 240 cases of this wine have been bottled by 90+ Cellars. This was an excellent wine, with an alluring and spicy aroma, and a complex, rich taste of black fruits, spice, violets and a bit of smoke. A compelling value, you will find few Cabernets of this high quality at this low price. Highly recommended! I was also interested in checking out the hard ciders of Farnum Hill Ciders, located in New Hampshire. At the recent Chef's Collaborative Summit, I had tasted their Farmhouse cider, and really enjoyed it, especially with pork. The Farnum Hill "Farmhouse" is a sparkling hard cider, made in a pub style, and is very easy drinking. It has a prominent fresh apple smell, which also comes out on the taste, and only has a little sweetness. It is food friendly, goes down easily, and it is something I can drink all day. The Farnum Hill Extra-Dry Still is dry, with a stronger apple flavor, and is also very easy drinking and food friendly. If you do not want something with bubbles, this would be a very good choice. A more intriguing brew was the Farnum Hill Kingston Black Cider, which is made from 100% Kingston Black, an English cider apple. This dry cider has more depth and complexity. Along with the apple flavors, there are some herbal notes, as well as hints of other fruits. There are all ciders worth checking out. During the Wine Riot, there are numerous Crash Courses, brief educational seminars on various wine topics. They are free for all Wine Riot ticketholders, though seating is limited. They are an interesting way to learn a bit more about different wine topics. I attended the "This Taste Like Roadkill, But I Like It" course, led by John Hafferty of Bin Ends, an excellent discount wine store in Braintree. The idea of this course was to taste three exotic wines, to open consumers to the diverse possibilities beyond the usual grapes like Chardonnay and Cabernet Sauvignon. That is certainly a sentiment I embrace and encourage. The wines included: 1999 Lopez de Heredia Rioja Blanco Crianza "Gravonia" from Spain, 2007 Buscaretto LaCrima Di Moro d'Alba from Italy and 2008 Kanonkop Kadette, a South African blend of Pinotage, Cabernet Sauvignon, Merlot and Cabernet Franc. I really enjoyed the first two, but the third was too vegetal for my tastes. Though I have liked the Kadette before, so it might just be a vintage issue. So my journey to the Wine Riot was a fruitful expedition. If you went to the Wine Riot, what were some of your special discoveries? For an upcoming article, I have been researching local restaurants and bars with good sherry and/or sherry cocktail lists. I began with Spanish restaurants, believing they would be the ones most likely to carry sherry, but my research has been disappointing. I have found a couple restaurants with good lists, including Toro and Taberna de Haro, and will be visiting those places soon. But I also found restaurants carrying Alvear wines, yet calling them sherry. Last month, I explained why the Alvear wines are not actually sherry, akin to how sparkling wine made outside of the Champagne region of France cannot be called Champagne. The worst offender was Tapeo, located on Newbury Street, whose wine list has four "sherries," yet none of those four are actual sherries. I emailed them about this situation but have not yet received a response. I have spoken with a couple restaurants which carry Alvear under the "sherry" designation and their explanation is that it is less confusing to consumers, who know little about sherry. I am not sure I accept this as a valid explanation, especially from a Spanish restaurant. I think they should use it as an educational opportunity, to teach consumers about sherry. It would be very easy to refer to the Alvear as a "sherry-style" wine rather than as a "sherry" itself. These same restaurants don't dumb down their food menus, by classifying a food wrongly so as to not confuse consumers. The food menus often list ingredients which may be unfamiliar to their patrons, yet they allow the servers to educate diners about such ingredients. So why should their wine lists be any different? This raises a larger issue of whether wine lists in general should be dumbed down for consumers. Should sparkling wine made outside of France be listed as "Champagne?" Should port-style wines made outside of Portugal be designated as "Ports?" Or should protected names, such as Champagne, Port and Sherry, be respected? Should consumers at restaurants be taught the difference, or is that too confusing and unnecessary? I believe the protected wine names are worthy of respect, and wine lists should present the truth, using it as an opportunity to enlighten and educate their customers. Saké and cheese. It is an excellent pairing, yet many people are unaware if that fact. At my recent Saké class at the Boston Wine School, the attendees were quite surprised by how well the Saké paired with various cheeses. In general, Saké pairs well with many diverse foods, and not only Japanese cuisine. In a recent article of the Japan Times, "Pairing Tips From the Saké Experts" by Melinda Joe, she talked about food pairing with Hiroko Furukawa and Rick Smith, the owners of Sakaya, an all-Saké store in the East Village of New York City. As one example, Hiroko and Rick mentioned that turkey will pair will tart, flavorful yamahai and kimoto Saké. Consider that for Thankgiving. Melinda also spoke with Satoshi Kimijima, a Saké and wine expert, who suggests adding other flavorings to the Saké to make a more intriguing pairing. For example, if pairing a light dish with a citrus sauce, then add a twist of lemon peel into your Saké. Kazuo Yamasaki, who teaches a Saké course at the Academy du Vin, believes it will take time for Saké to catch on as a companion to other cuisines. But some producers, like the Katsuyama Shuzo in Miyagi prefecture, are embracing pairings of Saké with non-Japanese cuisine. Please check out the article for much more information on Saké and food pairings. Many of you may have visited a winery cellar, underground rooms with low ceilings, packed with stacks of barrels amidst the cool air. You might even have visited a wine cave, as I did when I was in Spain a few years ago. But on my recent visit to Spain, I beheld a radically different type of wine storage area, the sherry bodegas. Richard Ford, the author of A Handbook for Travellers in Spain (published in 1845), thought that the bodegas resembled cathedrals. Many later writers would, understandedly, adopt that same simile as they do bear some resemblance to cathedrals. I visited nine bodegas and it was obvious to me why so many have made this comparison. But another writer, Rupert Croft-Cooke, had a different view, stating "But it might also be thought of as a great hive with thousands of cylindrical cells in which the living wine matures." (Sherry, p.115) That view also has some validity, and is in line with the feeling I received in some of the bodegas. While wandering the aisles of the bodega above, I felt as if I were in an alien landscape, the humid air adding a haze to my view. The dark colors, thick cobwebs, and thick dust brought to mind great age and mystery. I could easily see this as some strange hive, where the bizarre creatures were but sleeping, waiting for something to awaken them. Shades of Ridley Scott's classic Alien film. The term "bodegas" literally translates as "cellar" but is also used to refer to the "wine producer" and "winery." The bodegas, many constructed in the 19th century, are buildings of purpose, each element designed to benefit the ageing of the sherry, to assist the flourishing of the flor. There are very good reasons why such bodegas are almost never underground wine cellars. Most bodegas are lofty, with their ceilings as high as forty feet or so, to help keep the bodegas cool. This adds to the feeling that you are in a cathedral. The ceilings are so high as it is believed that the volume of air in the bodegas should be about eighteen times as that of the volume of wine. Good air circulation is necessary for the flor and most underground wine cellar lack the proper circulation. The outside walls of the bodegas are commonly whitewashed, to help reduce temperatures. For that same reason, bodegas may be built close to each other, to limit the amount of sun hitting the walls or vegetation may be grown between buildings, providing more shade. The walls of the buildings are at least about two feet thick, to support the high walls as well as to provide adequate insulation. The bricks in the walls, made from materials that help the cellar maintain high humidity, may be hollow too. In addition, the roofs are often insulated. The floors of bodegas are commonly a mix of sand, lime and iron oxide. During very hot and dry weather, the floors may be sprayed with water two to three times a week. This water will soak into the floor and evaporate slowly, helping to keep the temperatures low and increase the humidity. As it was hot and dry when I visited Jerez, I saw some of the water spraying, and the bodegas were very humid. The humidity helps to reduces the rate of evaporation of the sherry in the barrels and promotes the growth of the flor. Bodegas are commonly located either close to the sea or at high elevation, seeking to benefit from morning sea breezes and the poniente, the westerly, winds. Plus, they are constructed along a northeast-southwest axis, which help to give a minimum amount of direct sunlight. Windows are located high on the walls, and are usually rectangular to prevent sunlight from falling upon the botas. Plus, the windows commonly have blinds made of esparto grass, which keep out the sun but allow in the wind. The poniente is the most desirable, being cool and humid. But the levante, the easterly wind, is warm and dry, and much less desired. Sherry botas are usually stacked no more than three or four high, as the added weight of a higher stack would damage the botas below. Once in place, barrels are rarely moved, and may remain in the same place for decades, and you can see the dust and spiderwebs verifying their age. The barrels are commonly painted matte black, allowing leaks to be more readily discerned. As these barrels are usually older, any repairs need to be conducted with old barrels, which are more expensive in the Jerez region than new barrels. This is the opposite of much of the rest of the wine industry. The caps on the bungholes sit loosely, allowing some air into the bota, which is also very different from much of the rest of the wine industry which abhors allowing air to affect their wines in the barrel. Some of the bodegas have signed barrels, sometimes by visiting celebrities, from Winston Churchill to John Lennon, and other times by regular visitors, who thus gain a measure of immortality. To educate visitors, most bodegas also have a display bota, with glass ends, to show the flor within the barrel. My tour of the various bodegas was a fascinating and informative journey, showcasing an intriguing alternative to the usual wine cellars. If you get the chance, you should visit the sherry bodegas too. 1) On Tuesday, November 2, from 6:30pm-8:30pm, The Beehive’s co-owner and resident curator Jennifer Epstein will be joined by co-curator James Hull to host the 9th installment in The Beehive's continuing art series entitled, Sting! IX: The Real World. Sting! IX: The Real World explores several responses to our built environment and how we inhabit it. The seven featured artists use the industrial and natural landscape as a backdrop for investigations into our everyday connections to the world. "Joe Wardwell's rock and roll quotes flash over his idealized, sublime landscape paintings (courtesy of LaMontagne Gallery) to evoke a romanticized but unquenchable yearning. Buck Squibb animates memories of the landscape and routines he experienced growing up on Cape Cod by recreating photographic vignettes using brilliant focus and color to make the past appear ageless before our eyes. Sophia Ainslie's emotive paintings use vigorous linear drawing passages with areas of flat color to create spaces that, while rooted in the environments she directly experiences, evolve into a new sense of place somewhere between observation and imagination. Peter Harris uses color and texture to explore industrial materials at an architectural scale to demonstrate the tension between what is tangible and what is transient. Brian Unwin uses a traditional medium to describe the historically sinister side of the urban landscape and its quiet, ominous power in his elegant silver prints of Detroit and Boston. Shay Kun’s lush yet ironic paintings (courtesy of LaMontagne Gallery) connect the Hudson River School to the present day, and humorously depict the interaction of humans and nature, where humans intrude upon and abuse the grandeur of the surrounding landscape. With gentle and maybe unintentional humor, Ria Brodell’s drawings explore gender identity and sexuality as she projects her ideal self onto slightly mysterious, impossibly graceful figures—often male icons ranging from sailors to children’s toys, like the Ken doll and He-Man." Performance by the Nathan Sabanayagam Trio: Led by drummer Nathan Sabanayagam, the Nathan Sabanayagam Trio is putting jazz, reggae, dub, funk, hip-hop and world music in a blender and turning it on. A master Reggae musician, composer and producer, Nathan Sabanaygam splits his life between his studio in Boston and Kingston, Jamaica. Expect a big sound and infectious rhythm from this stage full of "funkitians"! The Beehive will have great food, cool art, and a special musical performance by the Nathan Sabanayagam Trio beginning at 6:30pm. No cover charge, Cash Bar, Dinner reservations recommended. 3) With Chef Chris Douglass back behind the stove, ably assisted by chef de cuisine (and Radius alum) John Rush, Ashmont Grill's Sunday Brunch has been given an upgrade, with several new dishes. * Chilequiles ($10) A south-of-the-border scramble: eggs with jalapenos, onion, salsa verde and sour cream, served with warm corn tortillas. Five takes on the Bloody Mary: Classic, The Maria, Pepper & Paprika, The Bloody Citrus and The Bloody Bleu. So popular they now sell the mixes bottled up to take home. 4) Executive Chef Raymond Southern of Stanhope Grille at The Back Bay Hotel has just launched a new luncheon menu, featuring inspired seasonal choices that incorporate the finest and freshest ingredients from local farms and purveyors. For the first course portion of Stanhope Grille’s fall lunch menu, Chef Southern has added some rustic and warm flavors. Luncheon selections include: Lobster Bisque (house recipe with Cognac cream and chunks of Maine lobster - $14); Maine Lobster and Corn Pudding (charred scallions, crispy pork chips - $14); Hudson Valley Duck Pate (cooked stone fruit, focaccia stick, apple beet slaw - $12); Portuguese Crispy Calamari (fried salt and pepper calamari, Portuguese olive-tomato sauce - $12); Char Roasted Veal Meatballs (plum tomato jus, grilled scallions, shaved Reggiano - $12); and, Orecchiette and Peekytoe Crab Pesto (blue potatoes, pine nuts, granna padano - $14). Stanhope Grille also offers a variety of organic salads, including: Chopped Romaine Hearts ($11); Farmer’s Cooperative Greens ($9); Farmer’s Greens and Roasted Beets ($10); Boston Cobb ($18); and, Grilled Flank Steak Salad ($17). For entrees, Stanhope Grille will serve some new seasonally inspired dishes. Some additions to Chef Southern’s menu include: Salmon En Papilliote (plum tomatoes, Moroccan olives, vodka syrup, toasted pearl barley - $21); Papardelle and Quebec Pork Ragout (morel mushrooms, jelly bean tomatoes, granna padano - $19); Misty Knoll Tuscan Style Chicken Sandwich (grilled chicken breast, Tuscan bread, proscuitto, roasted red pepper, Manchego-basil pesto, farmer’s fresh cheese ($16); and, Steak and Duck Frites (pan roasted hanger steak, potato fries with duck confit, creamed corn, broccolini - $19). Chef Southern also serves up a variety of burgers, including: Stanhope Iron Pan Burger ($16); Lamb Burger ($17); and, Double Portobello Manchego Burger ($14). Stanhope Grille is open nightly seven days a week from 5:30pm – 10:00pm. Stanhope Grille also serves breakfast Monday through Friday from 6:30am – 11:30am and Saturday and Sunday from 7:00am – 11:30am. A lunch version of the menu is available Monday through Friday from 11:30am – 1:30pm. It must be initially intimidating when a famous chef unexpectedly shows up at your restaurant and challenges you. Yet it must then be comforting that the focus of your challenge is your signature dish, a recipe you have made many times over and of which everyone raves. Plus, the challenge occurs on your own turf, surrounded by many of your fans. Maybe the famous chef should actually be the intimidated one. 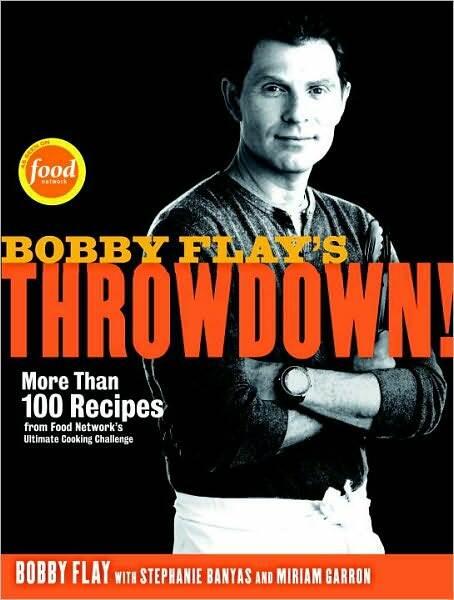 If such challenges interest you, then you might want to check out Bobby Flay's Throwdown! More Than 100 Recipes from Food Network's Ultimate Cooking Challenge ($27.50) by Bobby Flay (with Stephanie Banyas and Miriam Garron). The book was published in October 2010 by Crown Publishing Group, a division of Random House, and is a hardcover of 272 pages. Bobby Flay needs little introduction, being a well-known chef and TV personality. He owns over ten restaurants, hosts numerous cooking shows on Food Network, and has written nine cookbooks. One of his TV shows is Throwdown!, in its eighth season, where Bobby Flay challenges other cooks who are well known for a specific dish. Bobby tries to best these cooks, and only wins approximately 1/3 of the time, which must be humbling. Now, Bobby has penned a cookbook based on the series, sharing his own recipes as well as those he has challenged. The book contains about fifty chapters, each about one specific Throwdown episode, and overall it contains over 100 recipes. Almost every chapter begins with an inside look at the episode, also giving you contact information for the challenged chef/restaurant. Then it presents copies of both recipes from the throwdown, indicating which was the winner. Not all of the episodes from the first seven seasons are included, though I suspect a companion book could be in the offing for the future. The episodes that are provided run a wide gamut of foods, from breakfast to dessert, from paella to cheesesteak. I was excited to see it contained the Sticky Buns throwdown with local chef Joanne Chang of Flour Bakery and Myers+Chang, both places I highly recommend. Joanne defeated Bobby, and you can find her winning recipe in the book. Joanne also has her own cookbook which has just been released, Flour: A Baker's Collection of Spectacular Recipes, where you can find many more of her recipes. She is one of the hardest working chefs in the Boston area. I enjoyed this book because the recipes come from chefs who are especially famous for these recipes. The recipes are certainly well tested, and have been enjoyed by thousands of people. Plus, you have Bobby's recipes for comparison. The food is primarily comfort food, so everyone should find something that appeals to them. Who doesn't enjoy fried chicken, grilled cheese, buffalo wings, and ribs? I think the difficulty level of the recipes ranges from simple to complex, and probably averaging around medium difficulty. There are also plenty of compelling color photographs of both the competitors and their dishes. Beside being a cookbook, the book can also be used as a travel guide, alerting you to must-stop restaurants all over the country, though I would have liked an index to all of the locations that are listed. Overall, I enjoyed this cookbook, will find it useful and give it my recommendation. If you enjoy Throwdown!, then this is a must-have book. If you are seeking some top recipes for many of your favorite comfort foods, then check out this book. Last month, while in Jerez, I had the pleasure of meeting César Saldaña, the director general of the Consejo Regulador, as he led an informative class on sherry. Then last week, César came to Boston to lead a sherry class and tasting at Menton. The educational session was similar to what I had learned in Jerez, helping to reinforce and solidify my familiarity with sherry. But there was new information as well, expanding my knowledge of this intriguing wine. César once again did an excellent job, being a compelling speaker, and he is certainly a fine ambassador for sherry. We tasted 20 sherries, including some VOS and VORS aged sherries, and I had tasted many of them before. The Bodegas Tradicion Oloroso VORS and Palo Cortado VORS once again stood out to me, just amazing wines which should greatly please most wine lovers. There wasn't a bad sherry in the group, though I am still not a big fan of the Pedro Ximenez, as it is too sweet for my preferences. Wine stores definitely need to stock more sherry, especially the aged sherries. What was new is that we also got to try a couple sherry cocktails at lunch: the Berry Cobbler and the Triangulo de Jerez. The Berry Cobbler is a variant of the famous Sherry Cobbler, which was one of the most popular drinks of the second half of the 19th century. The Berry Cobbler was made with Dry Sack Medium Sherry, Lustau Peninsular Palo Cortado, Nectar Pedro Ximenez, Fresh Berries, and Lemon. The PX was used instead of simple syrup, to add some sweetness. I loved this drink, which had a delicious berry flavor without being too sweet. There were depths of flavor in the drink, and it was made with crushed ice, which I also enjoy. I could easily drink several of those. I did not care for the Triangulo de Jerez, which is made from Fino Sherry, Tanqueray Ten, Dolin Blanc, and Orange Bitters but only because I generally dislike gin. Lunch was provided at Menton, Barbara Lynch's newest restaurant, located in the Fort Point neighborhood. Menton is often considered one of the most expensive restaurants in the city, and the menu offers you either a four-course prix-fixe or a seven-course chef’s tasting with optional wine pairings. Before it opened, there was some controversy of whether Boston was ready for such a high-end restaurant, yet since it has opened, it has received many raves. I had not previously dined there so was very interested to eat there for lunch. As they do not usually do lunch, I also understood that my experience would be but a small glimpse into the restaurant. Our lunch began with a Croque Madame, with a farm egg, ham, and petite lettuce. A simple but delicious dish that was presented well, and I could easily have eaten more. The bread was soft and fresh, and the ham was tender and tasty. It was not the best Croque Madame I have ever had, but was a more elegant variation. The main entree was Short Rib of Beef, with chickpea, almonds, and medjool dates. It was a very tender and flavorful piece of beef with a savory sauce, and the almonds added some nice texture and flavor to the dish. Again, a simple but elegant dish. For dessert, there was a Terrine of Vanilla Glace, with vanilla cake and Pedro Ximemenz. Once again, a simple but delicious dessert, with a moist cake and creamy, rich filling. Based on the dinner menus, our lunch was a much simpler affair, though well executed and satisfying. Service was excellent, and there was a large team in place to ensure everything went smoothly. I still want to have dinner there sometime soon, and will be sure to report back when I do. But at least initially, I think it has potential. And sherry definitely is a great food wine. My new column of "A Passionate Foodie" can be found in the October 20 issue of the Stoneham Sun newspaper. This is a weekly column that concentrates on reviews of local restaurants though it also sometimes touches on other food and wine topics. The new column has been published today and will be available online soon. The new article, Seven Things I Learned About Sherry, provides some information and advice concerning the too often neglected wine, sherry. After visiting the Jerez region, I learned plenty about sherry and I want to share that information with others. Sherry is a worthy wine, worth your consideration. From appetizer to dessert, there is a sherry which can accompany almost any dish. It is a versatile wine and Spaniards primarily drink it with food rather than alone. Yet in the U.S., it is far too often seen as just an apertif or an after-dinner drink. Not enough U.S. consumers consider it as a proper pairing with dinner so they need to be educated in that regard, shown its vast potential. So let me offer some food pairing suggestions for a range of sherry types. Fino and Manzanilla sherries share many characteristics so they often pair well with similar foods. Manzanillas tend to be slightly drier, a bit more salty and with a more pungent aroma. A good choice for a wide range of tapas, these sherries pair very well with seafood, especially shrimp, mussels and fish like sardines, but they even go well with sushi. Drink them with olives, sliced hams, salami, soups, mild cheeses, almonds, other nuts, and pickled foods. They even are a good accompaniment to hard-to-pair foods like artichokes and asparagus. Amontillado sherry often has a compelling aroma with smooth flavors of nuts, caramel, and vanilla. It is a very good pairing for soups (like gazpacho), poultry, pork, spicy foods, BBQ ribs, and stronger fish, like blue fish. It is also very good with strong cheeses, including pecorino, gorgonzola, and stilton. Oloroso sherry often has similar flavors to Amontillado except they are often rounder, deeper flavors with pungency. Oloroso pairs well with poultry, pork, wild game, red meats and even tuna. It also works with cured meats, smoked bacon, and even foie gras. Try it with creamy cheeses like brie or even bitter chocolate. Palo Cortado sherry is said to have the aroma of a Amontillado and the taste of an Oloroso, thus it will often work with many of the same foods as an Oloroso. But, I have found Palo Cortados to taste a bit more like a blend of the two, with less roundness than an Oloroso though not as pungent as an Amontillado. So consider similar pairings to an Amontillado too. Pale Cream sherry has the addition of some Pedro Ximemez, so it is has hints of sweetness. Suggested pairings include fresh fruit, foie gras, blue cheese, cured meats and slightly spicy dishes. Medium sherry, which has more sweetness, will go well with patés and quiches. Cream sherry, which sometimes can be a 50/50 blend of Oloroso and Pedro Ximenez, is the sweetest of the cream sherries. It too can pair well with foie gras and blue cheese, but also sweet pastries. It is popular to serve Cream sherry on the rocks, and that can sometimes be a good pairing for various tapas. Pedro Ximenez and Moscatel both make very sweet sherries, often thick, viscous wines and will generally pair with similar foods like chocolate, blue cheese, puddings, pastries, and other sweet desserts. A favorite suggestion is to pour some of this sherry over ice cream. The main difference between these two sherries is that the Moscatel may have different aromatics, more herbal, pine notes. Experiment, and try various sherries with different dishes. You can use the above information as a guideline, but personal preferences can vary so discover what you like best. Do you have any of your own favorite sherry food pairings? I wouldn't have been surprised if we had been offered sherry for breakfast. While touring the Jerez region, we tasted sherry at each bodega we visited. Sherry also accompanied every lunch and dinner, immersing us in its food pairing possibilities. It was eye-opening, as sherry is not a wine that many people consider when pondering which wine to pair with dinner. Yet it worked very well, and there wasn't a dish that didn't work with some type of sherry. I am enamored with the culinary delights of Spanish cuisine and was not disappointed in the least as we dined at some of the best restaurants in the Jerez region. We enjoyed many different tapas, some incredibly fresh seafood, and the buttery soft and nutty jamón ibérico de bellotta. Some of the highlights included El Faro de Cadiz, La Cruz Blanca, and Bar Juanito. Because I generally just wanted to savor the food and sherry, I took few photos of the food. But I still have some photos which provide you a glimpse into the fine cuisine I enjoyed. Many of the initial photos you will see are from El Faro restaurant, the first place we dined our on trip. It was a superb start, and I would highly recommend it to anyone traveling to this area. We began with a very simple, but exceptional dish, fresh sardines atop toasted bread with crushed tomatoes and a bit of olive oil. Every element of this dish stood out on its own, yet also blended well together. It was crispy, briny, sweet and absolutely delicious. We drank some Tio Pepe Fino with this dish, and the dry nutty flavor of the fino was a nice accompaniment. Andalucia is famed for its gazpacho, a cold Spanish soup, and we had gazpacho at several of our meals. The creamy and flavorful soup, topped by ham, was quite good and accompanied by Las Medalles Manzanilla. With its acidity, it cut well through the creamy soup and its briny apple flavors enhanced the dish. The Dorado, with potatoes and shrimp, was fresh, with a nice crisp skin and sweet meat. The potatoes were killer, light, soft and flavorful. We drank the Botaina Amontillado, which had an alluring aroma, and a dry taste of nuts and light caramel. With the rich Pan Chocolate Flan, we had a glass of the Romate Cardinal Cisneros Pedro Ximenez, a thick, sweet sherry with flavors of raisins and prunes. At La Cruz Blanca, we had a fun tapas lunch, our table loaded with plates, a diverse selection of interesting tapas. Above, you can see their prawns and pepper dishes. We also enjoyed dishes including: angullas (baby eels) in garlic and oil; venison steak on pita bread in red wine sauce; pig cheeks in a savory brown gravy; blue cheese with honey & walnuts; grilled shrimp; and much more. Most of this was washed down with Tio Pepe Fino, showing the versatility of fino for many different types of dishes. Bar Juanito was another tapas feast, a smorgasbord of delicious foods, including some silky foie gras and these crispy shrimp "pancakes." The restaurant has an excellent wine list with a wide variety of sherries, and we took advantage, choosing several different sherries to accompany our dishes. At Bodegas Williams & Humbert, we had an amazing multi-course lunch, and one of the highlights was the lobster & rice, a savory and nearly addictive dish. We had several different sherries with our meal, and got to try them with the various dishes, to see how they paired together. Such a fun experiment. Bodegas Osborne offered us ham, cheese, almonds and other snacks for our pleasure, accompanied by a range of their sherries. So we were able to mix and match at will, to see which sherries paired best with the foods. Such simple Spanish foods, such as jamon iberico and Manchego, but also so very tasty. Though sherry pairs very well with Spanish cuisine, it is quite versatile and pairs well with a wide assortment of different cuisines. Tomorrow, I will give you some suggestions for other food pairings for sherry. The food sustainability movement needs to be more than affluent white people. At the closing session, Return to the Regional, of the recent Chefs Collaborative National Summit, the above statement was made by one of the panelists. There was little debate or rebuttal of the statement. Instead, it seemed almost as a given, as if most of the attendees agreed with the statement, or at least did not feel comfortable discussing it. But it raises issues in my mind, and I really don't have sufficient evidence to either properly support or rebut it. Locally, and more anecdotally, it seems to me that the statement is largely true, though it also depends on the definition of "affluent." By affluent, I see it more as those with comfortable incomes, with a decent amount of discretionary income. They are not rich or wealthy, but can be thought of as comfortable middle-class. There are some non-whites involved in the sustainability movement, but they appear to be a small minority. If you consider the chefs who are involved in this movement, and who participate in many of the events, they appear to be primarily white. Obviously, much more diversity is desirable, for many reasons, and especially if we hope for the sustainability movement to grow and succeed. At least for consumers, part of the reason for the affluence is the generally higher cost of sustainable food. It is often more costly to create such food, so the cost is commensurately higher. But such food needs to become more affordable for all, or it will ultimately fail. If it cannot serve people of all economic means, then it cannot spread throughout all of our communities. As for chefs, more work needs to be done with presenting it as a valid career option for children of all races and ethnicities. Promote cooking in schools, let children determine whether it is something that appeals to them or not. What are your thoughts on this issue? Does anyone have any evidence or studies concerning this matter?